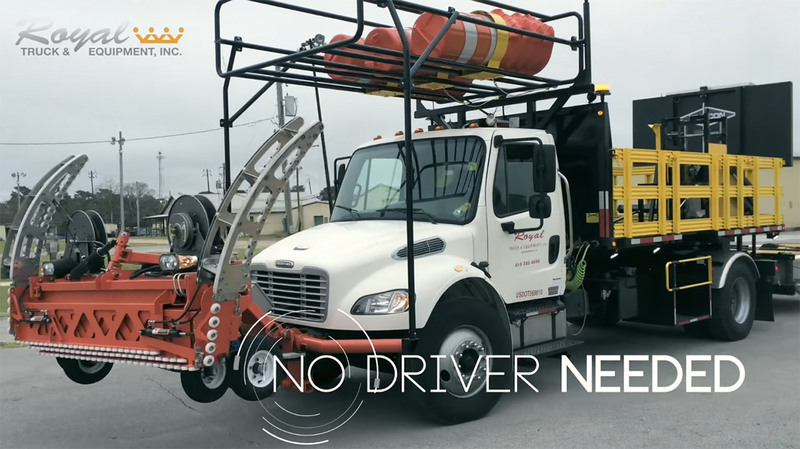 Autonomous trucks will soon be used at highway construction sites in Florida, and unlike Daimler's big rig that still needs someone behind the wheel, these ones are completely driverless. The truck was developed by Pennsylvania company Royal Truck & Equipment under a Department of Transportation pilot program. According to the company, there are three ways to control it: via GPS Waypoint navigation, through a remote control and via leader/follower programming. Since it's pretty common for motorists to slam into trucks used for highway construction, the rigs will be equipped with a special crash barrier called attenuators, which you can see in the image above. These barriers are actually the reason why Royal pushed for a completely driverless system: yes, they can save both motorists and workers, but they'll put the driver's life in danger in case of an accident. The company showed off its technology on Monday in its home state and is expected to deploy the trucks in Florida by the end of 2015.